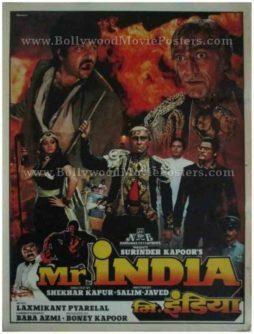 Old Bollywood poster of the blockbuster Hindi film Mr. India (1987) for sale. 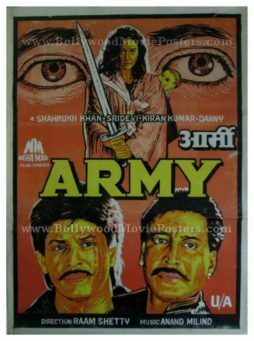 This is an actual surviving old Bollywood poster of the 1987 cult classic, Mr. India. 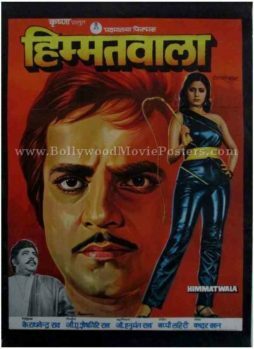 Directed by Shekhar Kapur, this blockbuster Bollywood movie featured Anil Kapoor in the title role, Sridevi as his leading lady and Amrish Puri as the greatest Bollywood villain of all time, Mogambo. 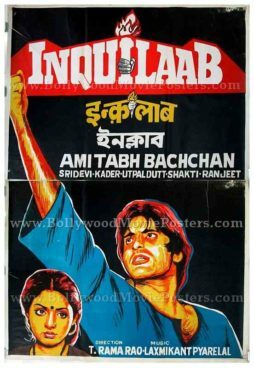 Printed and circulated during the first release run of the film (late 1980s), this original Mr. India movie poster was designed for publicity of the film but never ended up being used. 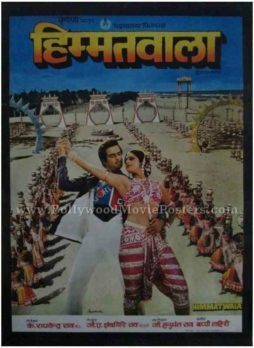 This Mr. India movie poster for sale has been designed by the greatest calendar artist in India, JP Singhal and bears his printed signature in the name of his studio “Singhals” on the top left corner. 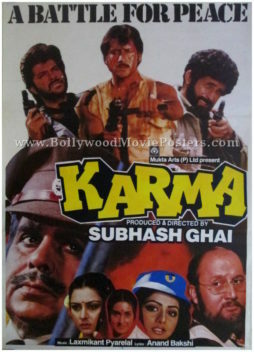 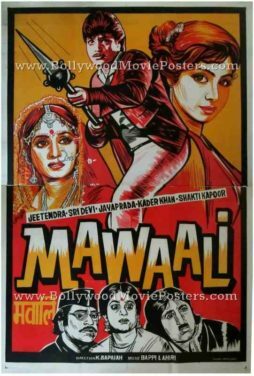 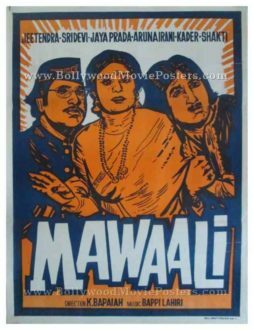 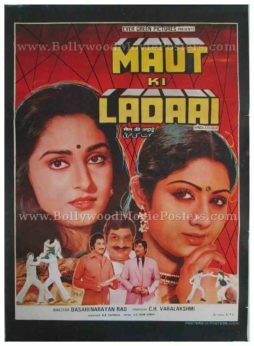 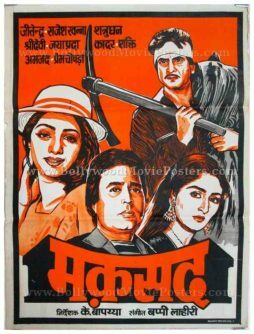 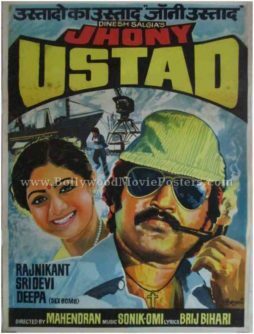 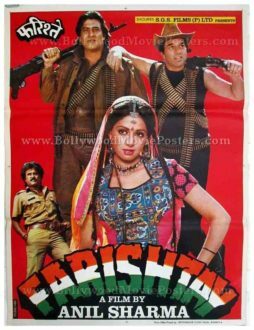 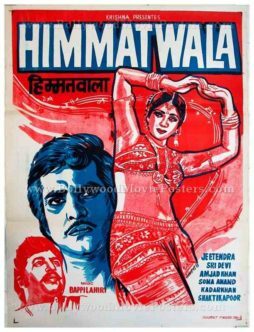 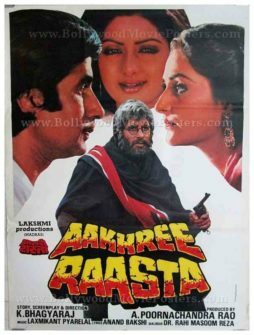 The greatest Bollywood villain of all time, Mogambo is seen in a photographic avatar on the top right of the poster from the iconic scene, “Mogambo khush hua” (Mogambo is happy). 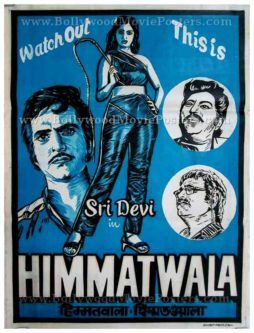 Another full photograph of villain Amrish Puri is seen at the center of this Mogambo movie poster.